Have you ever come across a box with tires written Mash East Africa and asked yourself what the heck that white box is.? If the answer is yes then today i want to do a breakdown of what it is and its main purpose for being where it is. First, the box is known as Mash Caravan due to its nature or resemblance to a caravan. The caravan are located in areas where Mash main offices are not available or reachable easily. 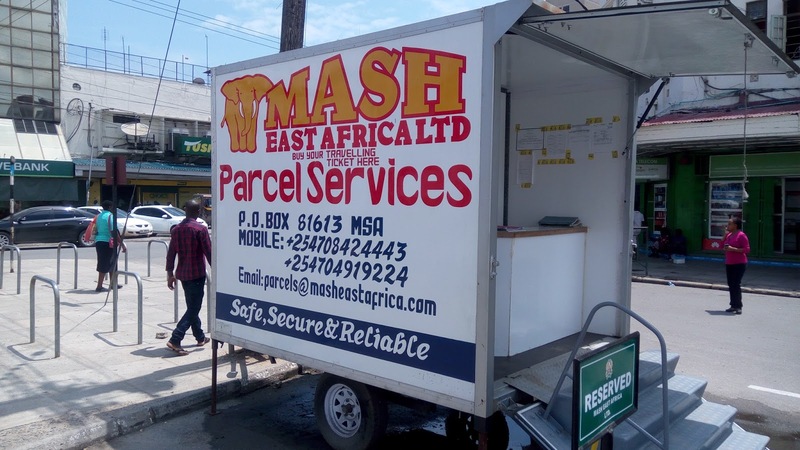 The main purpose for the introduction of the Mash Caravan is to make an easy in parcel sending from various corners of town. You can also make travel bookings at the Caravan though you will not be issued with a ticket as the clerk is only equipped with a laptop. 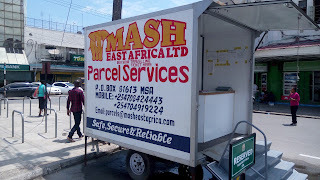 The Mash Caravans are situated in Mombasa on Haile Selassie Road opposite KCB, Mtwapa along Malindi road among others. Send your parcel now to different parts of the country or make bookings.